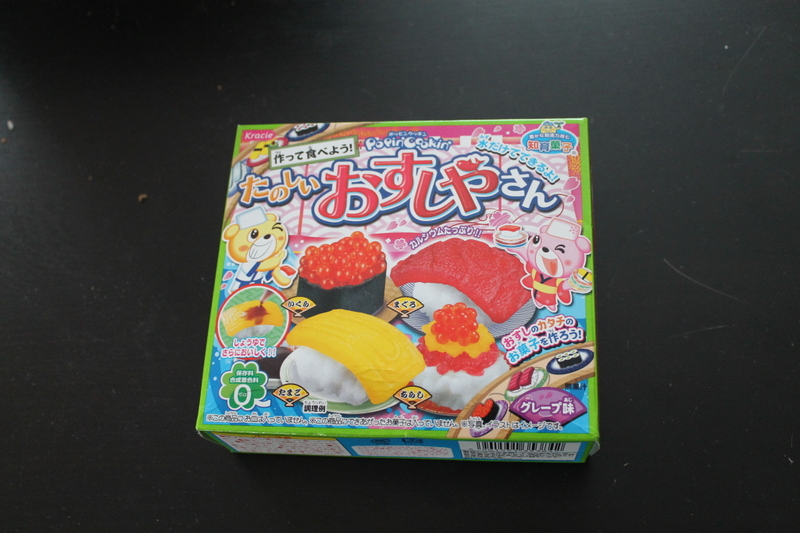 A few weeks ago, I got completely lost in the Japanese candy kit part of YouTube. There is a company in Japan, Kracie Popin Cookin, that produces kits that let you make miniature versions of food, all from edible sweet materials. YouTube is full of videos of people demonstrating the various kits. Since the kits themselves only come with Japanese instructions, part of the popularity of these videos is pure necessity: if you don’t speak Japanese, you won’t know how it works unless someone demonstrates it. But the kits also seemed like a lot of fun to do, and many of the videos are on crafting channels. I watched a lot of these videos, mesmerized by the tiny foods and people making these items out of nothing but water and little bags of powder. I also thought they looked a lot like chemistry kits, and that gave me an idea. 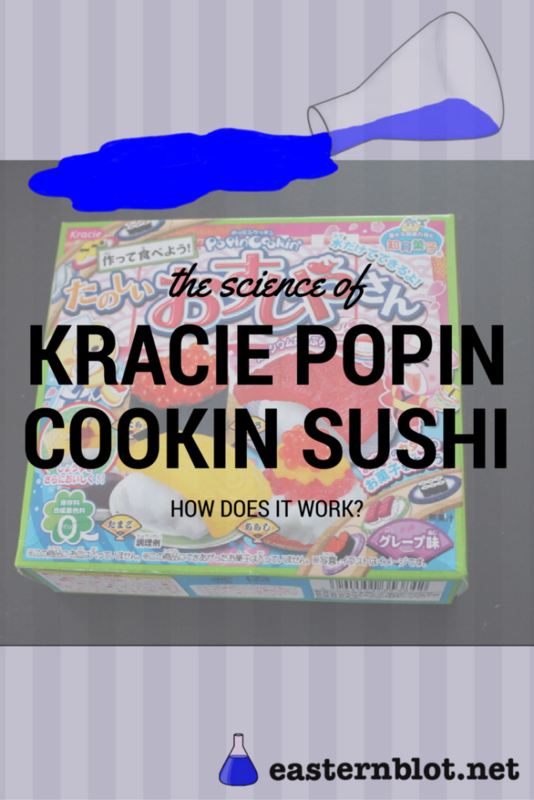 So here it is, my own Kracie Popin Cookin video, explaining the science behind the sushi kit. There’s gelatin, starch, and even some molecular gastronomy. Enjoy! Full credits are in the description of the video. If you sold a Nobel Prize: What would you do with $4.1 million?